Can the dead manipulate electronic devices? Can they break through the fabric of time and space, from wherever they are, and influence the workings of our communications devices - our telephones - to leave one last message... to say one last goodbye? 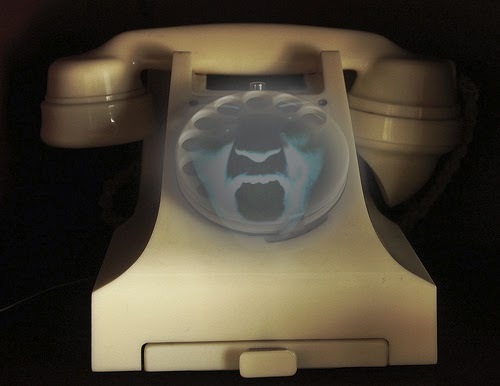 As fantastic as it seems, the mystery of phone calls from the dead is not an uncommon one. Those who have researched this phenomenon have determined that these calls usually occur within the first 24 hours of the death, but there have been cases in which the calls were received as long as two years after. 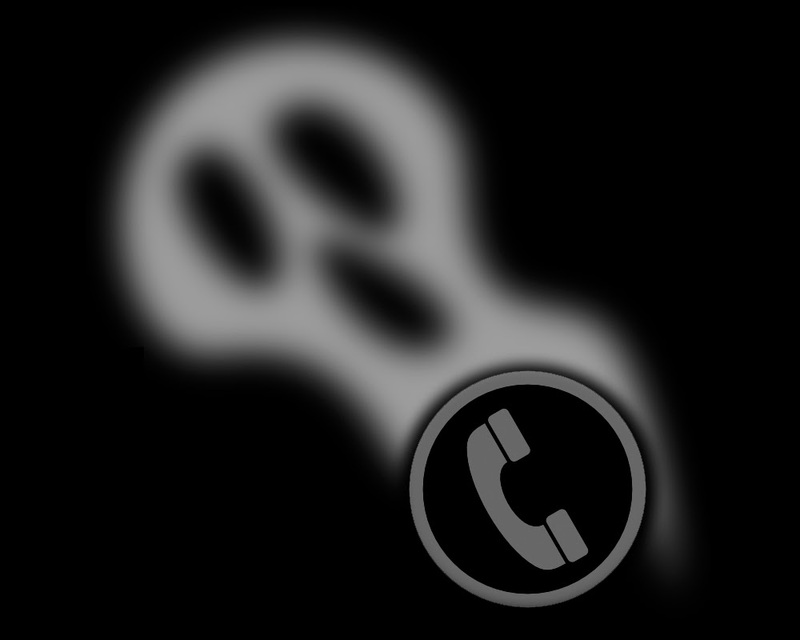 The call is usually filled with heavy static and the phantom caller's voice is faint, as if far away. Far away, indeed. In today's culture how could we ever get by without our phones? As communications tools for keeping in touch with friends and family and for doing business, it's become indispensable. But..sometimes the telephone is a link to the unexpected and the unexplained. 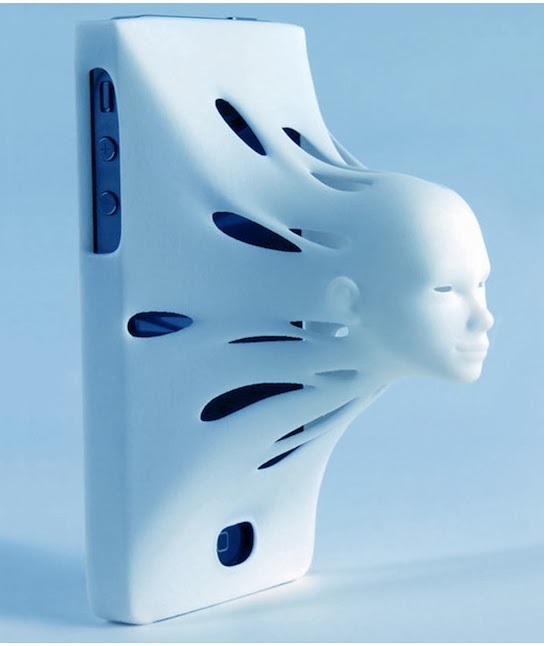 In many cases throughout the world people have related stories of weird or unexplained experience with their phones. Years ago my brother remembered a high school friend (we'll call him Bob) whose grandmother had recently passed away. My brother and Bob were at another friend's house (we'll call him Jim) when Jim's mother received a phone call. The caller asked to speak to Bob. Thinking it was his mother asking him to come home for dinner Jim's mother handed the phone to Bob. At first there didn't seem to be anyone on the phone. Then image my brother's surprise when Bob told him he recognized the voice on the phone belonged to his deceased grandmother! My brother and his friends thought perhaps someone was pulling an awful prank, but only Bob's mother knew he was at Jim's house that afternoon. Had his grandmother tracked Bob down at his friend's house so she could say a final goodbye? Bob later told my brother he knew it was his grandmother voice on the phone. My brother and his friends never spoke of it ever again. 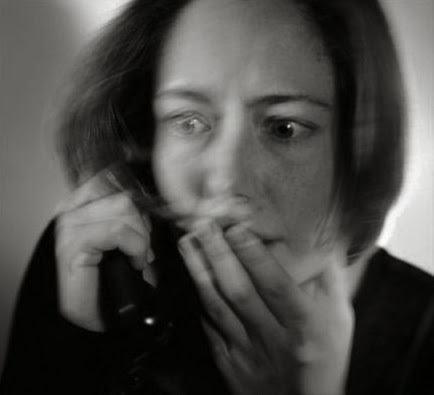 Are these phantom phone calls merely technical glitches? It's likely that many of these experiences can be chalked up to crossed lines, cell and cordless phone interference, and other explainable malfunctions. But there are other experiences that are not so easily explained away. After I started paying the bills for Paul’s house, I noticed something odd about the phone bill. When I reviewed March’s phone bill there was a strange number that showed up under long distance calls. It was a number to Bethlehem, Pennsylvania, and the calls came from Paul’s house at precisely 4:05 AM once a week, always on the same day. MCI was charging us per call for a minute, which meant a connection went through. Intrigued, I rechecked February’s bill and saw four charges for the same exact number. I called the lawyer’s office and his assistant, Linda, tried to find some information about the number, but was unable to. I again looked over the February bill and saw what I missed. I couldn’t believe it. The first time the odd phone number appeared was on January 29, the day of Paul’s memorial. Then I contacted MCI and they said the calls were definitely coming from his house to that number. However, we had discontinued long distance service. How was this possible? “Is there a fax machine or another phone line there?” they asked. “I never heard of such a thing.” The phone representative said. “It’very strange. The only thing you can do is see if the calls continue for the next few months.” MCI took off the charges. This went on until we changed phone providers in June. Then, the calls stopped. We **never found out whose number it was or why the phone dialed to that number. Was Paul telling me that 4:05 AM was when his spirit left his physical body and departed the earthly plane? ** We finally did find out whose number it was. You'll be astonished at our discovery as to where the ghostly calls went in a later blog. So what's the answer? Can beings on other planes of existence make contact through electronics? (Consider the phenomenon of EVPs) Or can the mysterious workings of our own minds, our subconscious, use such devices as phones to express our deepest desires and fears? Truly, I had goosebumps reading this... I actually love this genre but it is more interesting here. Seriously I am going to bookmark your blog. I will surely read your book estate of horror. Hope you will visit our site and blog too. Thanks.